My question is. How much Bettman hates Canucks? Van under Bettman have 0 chance to get even top3 draft pick. Nj kn the other hand (or Shero) why not. Rigged draft lottery (including Chicago very high pick). I’m not sure that’s how it works, but I admire your passion all the same. Well if you want your team to win the lottery I guess the GM of your team should try to acquire Tayler Hall. Halls tweet last night was both awesome and sad at the same time. Ya Kevjam, seems to be an uptick in rigging these days. Does Hall stay in Jersey now they get Hughes or Kakko? Not like he hasn’t been down that road before with #1’s coming in. I had him as a goner yesterday, perhaps with the lottery win he changes his mind? It’s a tough one. I don’t know much about how Hughes plays. One of the reasons why Hall didn’t work with McDavid is that they both like to drive the play with the puck and Hall didn’t know how to be the support guy. So if Hughes like to be the support guy, or can learn to turn into a support guy for Hall, they should be able to work nicely with each other. One thing Hall needs to do is stay healthy. Not including the 2012/13 – 45 game season, Hall has played under 70 games 4 times in 8 years. I have a feeling that Shero might just surprise everyone and opt to take the 6′ 2″ 195 lb RW Finn Kaapo Kakko at # 1 rather than the much slighter 5′ 10″ 160 lb C Jack Hughes since he already has a smallish C in 6′ 1″ 175 lb Nico Hischier. Which meansd Hughes could fall to NYR. Otherwise, the Rangers are grabbing the Finn. Size always seems to be an issue with you George. I’d suggest it was a subconscious kinda thing but pretty sure you’re past such concerns. Typical Vancouver whining. You sound like David Pratt and one of his NHL anti Canuck conspiracies. lmao. I’m not a Canucks fan at all. Just a statement in their situation. Last couple years on the bottom. They can barely make top 5 in lottery. Nj f.e. has no problem at all with this (when they need). I hope Hall will leave NJ. He spend way too much time in crappy teams. I haven’t heard anyone saying that about Ottawa and last season they fell from a potential # 1 to 4 and did so again this year – although this time they didn’t own the pick. But still, it shows that s*&t happens, as Forrest Gump allegedly coined. I was thinking the same thing about the Red Wings – this is the third year in a row they have moved back in the drat in the lottery. And let’s see, we took care of the Leafs to get them Matthews, and the Canadiens moved up to third last year. Now the Rangers and Hawks move up this year. Are we maybe looking out for the big market teams ? And what are the Devils doing right to get the #1 pick twice in three drafts ? Nj is a big market team? No Chrism, but Shero is Garys buddy, and in need to improve. So is Benning. It’s a fact. The rangers haven’t had a top 3 pick in 50+ years, now all of the sudden the NHL is conspiring against the other teams to give them #2? Lmao. Give your head a shake. How many #1s -3 have the NY rangers watched Pittsburgh, Tampa, Edmonton, etc take over the years. I’ve always thought it sucked, always talked about finding a better way, but never cried conspiracy. I’ve gone a lifetime without NY picking a top 3. Pengy, yesterday you wondered that if the Oil won the lottery would they package that pick and Lucic for a later pick in the first round. I said I didn’t think so, the player was worth more than the cap relief to Edmonton. They had the same conversation on 1260 on my way home from work yesterday, but assumed they would pick 7-8-9 ish. So assume a team picking late in the 1st round has no need for, or the cap space to waste on a 4th line winger making $6M for 4 years. A team picking early in the 2nd might and some do. Also assume Lucic wants out of EDM as he needs a fresh start and sick of listening to it. Lot’s of assuming, I know. So if you are either Edm or Ott, would you swap the 8th overall and Lucic for Ott 2nd round pick? Tougher call for me from EDM perspective now, but I still think I keep the pick. If Dach is still there at 8 I keep it for sure. I think I do it if I am Ott though. Thoughts Pengy? George O? Anybody? I say they keep the pick. At 8th the player they pick should be a top 6 forward, which they need, in a season or 2. Also with the cap always increasing Lucic’s cap hit won’t be that much of a handicap in a few seasons IMO. Also he is a serviceable 3rd or 4th liner. Lucic ( 1 mil retained ) and Edm 2020 1st (8th overall ) for Boedker, Condon and a 2020 2nd. Both Ottawa players are on the last year of their deals so no cap help in 2019 for Edm. Ray that would be pretty good if Edmonton and Ottawa could swing that deal… if you look at it from how teams build through the draft is you need year after year of top picks to eventually have a winning team, luck aside. 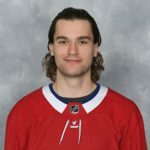 So for Ottawa, picking 8th will be nice addition to last year’s 4th and possible next year or the one after that as a 1st overall hopefully so having a guy like Lucic for 4 yrs won’t be that much of a burden since he’ll likely play up in the line up since most of the team will be younger players finding their way on lower sheltered lines…plus you need to get to the cap floor so you’re gonna need cap hits like his that will expire when your youth takes over. I keep hearing this Lucic to Ottawa thing. First of all, he’ll turn 31 on June 7 which means someone will have a 37 y/o, who’s production has gotten steadily worse over 4 seasons, when his $6 mil cap hit runs out in 6 years. And that’s assuming he would even agree to his “fresh start” in a club significantly worse than the Oilers right now in terms of overall roster. The Sens will get better over the next couple of seasons – and I think in the long run I agree with the opinion of Brian Burke who, when asked by Bob McCown who he thought would win a cup first – Ottawa or Edmonton – said Ottawa without a pause. They already have a burdensome cap hit in Ryan’s $7,250,000 which runs to 2022-23 when he’ll be 36, so the LAST thing they need is adding that albatross to the mix. Patience is their key. They can move up from the projected # 19 slot (Columbus pick in the Duchene deal) by coupling that with their own first pick in the 2nd round (# 21 overall) since they also own another pick in that round. IF they see someone they like falling to the middle range of round 1 (Lavoie of Halifax for example). I would rather the Oilers keep the pick rather than take an offer like that. Boedker (3rd or 4th liner), an AHL goalie, and a 2nd round pick for surrendering the 8th pick and 5 mill cap relief? Or you keep Lucic and get a young cheap top 6 forward. I’ll take the cheap top 6 forward thanks. I hear you Kevjam , I would not do the trade either if I was Edmonton but those are the types of deals they see offered to rid themselves of Lucic. still a great trade for the avs….the lottery is set up just stupid….when the worst team has a higher chance of picking 4th than 1,2, or 3. I don’t agree. That set-up just rewards tanking way too much. I like the system put forward, where the teams who mathematically are out of playoffs gain “points” for winning games. Gives incentive for the worst teams play till the end of season. I’m not a fan of current draft lottery parameters. I’ve heard similar suggestions (rewarding for wins down the road when already out)… it has it’s merit but then there are teams that are fighting until the end and finish one point out and still have a chance. then next 4 at 28-5% chance to pick 9th and so on. no team slides up or down more than 3 spots. To add to this, perhaps use Owens reward system for the bottom 4— still at worst picking 4th; but a sliding percentage chance of winning 1st over-all (of the 4) based on winning percentage after eliminated. Don’t get me started on the playoff brackets!!!!! Re your question (w.r.t. to our discussion yesterday and posted above) on 8th + Lucic for 2nd rounder. Just a quick clarification w.r.t. my views yesterday. My contention on the back-fall position is that some team that does have $’s can always look at Lucic as $’s only. After SB paid… can be bought out for $650K * 8 ($5M over 8 years). So what is that cash worth to a team? I was posing that (if Ed had won the first over-all) then 1st (Huges) + Lucic ($5M over 8 years worst case) was worth the 9th overall pick to Van …. Easier to convince Lucic to waive (hometown); AND Draft is in Van…. Great to pick 1st overall in your own arena, and already have the elder Hughes in tow. I content, Benning would even give up more. Now , after the draft last night and sitting at 8th… not worth as much to Van of course. Is there another buyer out there? As I don’t see Melnyk willing to pay the full Lucic contract for 4 years; would Ottw be willing to pony up the $5M and 32nd pick to pick 8th ? I would, but that is me. I don’t look at the $5M price tag as much as the $650K per year which is less than the League minimum. I’d do it. If there are other teams with space and with budget for $650K per year for 8…. Then Lucic, 8th, JP for 2 low 2nd rounders , to me, fits. Lucic and 8th over-all for a prospect and Van’s 2nd rounder. Then Benning sitting with picks # 8 and #10… what can he potentially add to induce Shero to give up Hughes? Is it possible? Would 1st in ’20, plus 8th overall and 10th overall in ’19 do it? I doubt Shero does move the pick; but he should listen. Benning offering Petterson for Hughes would obviously work… great overpay…..and just offering 10th overall plus a prospect is way too little. So there must be a place in between those two offers that could work for both teams. I do see this year’s draft as having a great potential for several first round moves. Personally, a Mtl overpay would not be enough to entice me to play in Quebec as long as this garbage religious symbols crap is going on. I get not all (most? all?) NHL players might not care, but to me that is the cherry on the decision not to come to Mtl. I don’t get all the fuss about playing in any city in the NHL market. Sure living in a warm climate is nice but if I am signed to play the sport I love for a great salary , I am all in regardless of where. It’s not like being part of a team means you have to live there for the rest of your life. Not to mention the majority of players are living in nice homes in the best communities. Also they are on the road ~35% of the season anyways. I could see a player with tenure saying ‘ I want to play for a team that has a chance to win’ , I get that. I also get that some cites / states / provinces have higher tax structure than others but c’mon man most of these guys make more in a season or 2 than the average Joe makes in a lifetime.